Want to do the unspeakable deed? 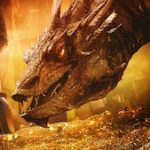 The following guest post by Auld Tattie Bogle, a Monevator reader, explains that it even if you’re convinced it’s right for you, it might not be so easy to transfer a final salary pension. I have almost reached my half-century, and along the way I have enjoyed a fairly long career in IT with a variety of different employers. This scenic route through the workplace had resulted in me acquiring several relatively small pensions. Most were defined contribution schemes. But one was a defined benefits scheme. Following the pension freedoms that came into effect on 6 April 2015, many people may have been tempted to transfer money from such defined benefits scheme – also known as final salary pensions – into a more flexible money purchase scheme, also known as a defined contributions scheme. Now for most people, undertaking such a transfer is likely to be a bad idea. This is because a final salary scheme guarantees a certain level of income in retirement risk-free, provided the scheme doesn’t go bust. Worse, for a significant minority a transfer could present crooks with a great opportunity to defraud them out of a large portion of their pension savings. So let’s be careful out there! Yet despite these risks, I decided to transfer my sole small-sized defined benefits pension pot into my primary SIPP. As things turned out, making this difficult decision was the easy bit. Actually getting the transfer done was the real challenge! I thought I would share the logic behind my decision and my experience in case others find themselves in a similar situation. Some years ago I decided to consolidate the money from all of my previous defined contributions schemes into my employer’s scheme. However I had hitherto left my defined benefits scheme alone. Received wisdom was that these schemes were valuable, increasingly rare and the gold standard for pensions that shouldn’t be messed with. But as time passed I became increasingly curious about the possibility of cashing in this defined benefits scheme and transferring it into my SIPP. As I mentioned, I knew making such a move would be very much counter to the standard advice. I am not convinced that defined benefits schemes benefit ‘deferred’ members with short periods of employment. My defined benefits scheme was a very small percentage of my overall pension provision (around 10%). I plan to retire early. I plan to take a tax-free lump sum. I plan to use flexible drawdown rather than to purchase an annuity. My wife’s primary pension is a defined benefits scheme, so between us we would still be covering the bases. I ought to explain my thought process behind the first bullet point above. Final salary schemes benefit most those members whose salaries increase over their careers. This is because a member’s final salary at retirement can be far higher than their average salary. Thus being frequently promoted has the effect of inflating benefits without increasing previous contributions, which means high flyers can receive a Managing Director’s pension on a Post Boy’s contribution. However as a deferred member, my salary is permanently fixed and I therefore have no opportunity to increase my benefits in this way. Hence the relative lack of appeal to me. In an attempt to sanity check my logic, I approached an IFA I’d previously used to review some financial plans for some informal advice. I explained my situation, and why I believed that a transfer was the best course of action for me. Off the record, his response was ‘that sounds reasonable’, so I set the wheels in motion. After waiting for ages, my defined benefits scheme administrator provided me with a binding Cash Equivalent Transfer Value (CETV). I looked over the figures. To me it seemed a fair price for the guaranteed future entitlement I was giving up, so I approached my SIPP provider to initiate the transfer. My SIPP provider said that as the transfer was to come from a defined benefits scheme, they could only process my transfer if I had received advice from an IFA. Then things got rather Kafkaesque. My SIPP provider added that they could accept the funds even if the advice from the IFA was that the transfer was not the right thing to do! This struck me as an insane position to take. Second problem – I went back to my IFA who told me he could run the numbers for me, but that it would probably cost around 10 per cent of the fund’s value! I politely declined his offer; I am a firm believer that minimising professional fees for advice or management is one of the best ways to maximise investment returns. I mused on the possibility of finding an accommodating IFA who would say ‘don’t do it’ for a nominal fee of £50. I could then present this negative advice to my SIPP provider, and they would presumably initiate the transfer. After all, if the IFA said ‘don’t do it’ and I did it anyway, surely I couldn’t sue them? What would they have to fear? Equally, the SIPP provider presumably felt that as long as there was a tick in the ‘client has received advice from an IFA’ box, they couldn’t be held liable if the transfer turned out to be a poor decision? To be honest I was slightly offended that my SIPP provider would not accept my decision, despite the fact that I had thought the issue through quite thoroughly and decided it was the best course of action for me. It was as if I was not qualified to make my own choices and accept the consequences. Instead I had to pay some professional to tell me what I should do and to accept legal liability for that advice. I did approach a couple of IFA’s and cheekily suggested my £50 for an immediate ‘Don’t do it’ report, but they weren’t keen for some reason. Presumably because it was more profitable for them to ‘run the numbers’. Having seemingly exhausted my options, it looked like I wouldn’t be able to affect a transfer – even though I genuinely wanted to. Clutching at straws I approached my company pension provider. It transpired they were far less squeamish about accepting money from a defined benefits scheme. All I had to do was answer some questions over the phone about my understanding of the risk, which was presumably recorded and filed under ‘in case he tries to sue us later’. Hey presto! The money was transferred into my company scheme for a few months while I finalised the timing of my resignation. Then, once I had left, I simply transferred the whole lot – final salary part and all – into my primary SIPP. Have you transferred (or given up on transferring) a defined benefits scheme? Did you go through a similar rigmarole? Or perhaps you think it’s never right to trade in a final salary pension? Please share your (polite, constructive) thoughts in the comments below. Many thanks helpful people – my first go at using a blog in this way. I feel much more secure in what Im going to do now. Typically they haven’t, but that’s not the choice you’re being offered, which is between future pension benefits and a lump sum transfer. A simple test is whether the future benefits are worth more or less than the transfer value on offer. Often it isn’t enough to purchase those benefits. Fees – I understand why the fees are so large if the ifa recommends a transfer, time taken to gather all the data, time to do the calculations and indemnity insurance in case he gets sued afterwards. But my plan is to transfer my final salary to a sipp and then withdraw all the money and burn it in the back yard, why does it cost thousands to tell me they do not recommend this ? (Obviously I will not go through with the actual burning bit). Rene – you got me all excited but they will only issue a report if they recommend the transfer and you pay 1%. I am still waiting for my cetv but I believe that would mean I have to pay approx £5,000. Its a rip off I tell you, a complete and utter rip off. I had a report done for mine recently by an IFA, it was not deemed suitable but AJ Bell were happy to take the transfer providing I had taken advice whatever the outcome.Unlike Hargreaves Lansdown who would only take the transfer if it was deemed a suitable report.Struggled to find an IFA at first who didn’t charge the earth but found one in the end in St Albans who charged a flat fee of 1800quid plus Vat. He has done two reports for friends as well recently. Has anyone got a report done for 0.5% or less? Or a flat fee? Julian, would you care to name the IFA? Hi I used a guy called Gary Cretton at an IFA firm KDW associates based in St Albans. He charges 1800 plus vat. As I said earlier my report was deemed unsuitable however AJ Bell were willing to accept the transfer providing I had proof that I had taken professional advice.Hargreaves Lansdown wouldn’t take a transfer full stop unless it was deemed suitable and IFA’s are really reluctant to issue suitable reports for fear of future lawsuits. This has been an extremely informative blog and has helped put my thoughts in order. CETV has been obtained twice in the last 15 months (most recently received in December quoting the value at September date of enquiry – yes I know, 3 months to answer!) in furtherance of an impending pension sharing order. I have an overwhelming need to transfer my share, (my ex has no option so, should be free of the IFA requirement – happy to be corrected) the 25% tax free now is half the cost of a urgently needed home. This summ is substantially more than can be liberated from the final salry scheme. The remaining 75% invested in a moderate risk portfolio would still give me a better return than the proportion of deferred final salary or a purchased annuity. I am still contributing to my current employer’s Company pension scheme portfolio so feel I shall have sufficient funds in 4 years time. I shall then be 66 with the option of working reduced weeks at consultant day rate while letting my investments grow further before taking drawdown. Given the above it does seem hard to have to pay an IFA upward of £3000 to tell me what I already know. Surely a simple test of financial literacy combined with binding expression of wishes contract isn’t beyond the whit of the FCA to introduce? I’m a financial adviser and I do actually agree that people should be allowed to make a decision on their own pension fund. Yes, defined benefit schemes can be complicated to understand but I agree with Phil, who suggests a financial literacy test could be used to indicate someone’s understanding of the benefits before they giving them up. The reason we can’t just issue a letter for £50 and say ‘don’t do it’, is that we have to provide that advice based on your own personal circumstances. Two people could have exactly the same CETV and receive different advice recommendations. Obviously, in order to be able to make the recommendation, we need to under more about your circumstances, existing pension and future plans. We are then required to write a report detailing the reason for, or against the advice. So unfortunately, £50 wouldn’t cover the time attributed to the exercise, but I am empathetic to the red tape you face. If anyone wants to chat, I can provide advice for a flat fee of £1900 (I don’t charge VAT). Lots of interesting views and fees !! , my experience was as below. £10 to the post office for a certified passport. Oh come on, don’t tease. Care to give more detail on what seems to be a cheapest in class option from my searches? Would be cheap at twice the price! Phil , I used a company called Annandale Finance based in Dumfries in south of Scotland ,they have a website. I only used them for the transfer last year and have had no further contact , it was a summer romance. Having been listed in the subject of this forum I am pleased that we have provided a service which has been considered to be helpful by our clients but i find that i will have to expand upon how and where we may be of assistance to individuals requiring advice on the transfer of Defined Benefit Schemes. Annandale Financial Services will not provide a report only option due to the complexities of these potential transfers. we will require face to face meetings with individuals concerned in order to asses their needs and expectations as well as their views on risk and reward. It is impossible for us to provide a report only service as required by some of the enquiries and i am afraid although we have always tried to assist and navigate our many clients through this complex process we are not in the position of dealing with enquiries of this nature. Not only does this indicate that we cannot undertake comparisons using hypothetical receiving schemes but a transfer should not be conducted based solely on critical yield. We have therefore taken the decision many years ago that pension transfer advice will only be conducted on a face to face and full recommendation basis. I am sorry if this does not meet with potential expectations of how advice should be provided by members of this forum but we do only have the best interests of our clients at heart and seek to ensure that we fully comply with FCA requirements in this area. By setting out our requirements i hope that we can avoid disappointment for future enquires. I’ve been researching this subject a lot over past months for personal reasons, what seems to be clear is that it Financial Advisors need to be specialists in Final Salary Transfers and hold a G60 or equivalent qualification, the following guide http://pensionhelp.co.uk/final-salary-transfer-guide/ gives some quite indepth detail into how you can benefit and how it work, its a good 8 pages thou. @all — Just as a note, in general I’d rather people didn’t reference specific companies for this sort of thing as if it happens a lot it’s going to be hard for us to distinguish between genuine company recommendations and spam. With fund platforms or major fund houses or peer-to-peer services, say, that’s not such an issue. But with individual small solicitors and the like we can’t hope to police it very effectively. That’s no reflection on John’s company at all, just a general point to be aware of if you find you’ve referenced a company and your comment does show up or is deleted. I wished to transfer a defined contribution fund to Hargreaves Lansdown. There was a complication in that it was part of a two leg pension fund whose other leg was a small historical final salary scheme. HL at first insisted that I provide them with independent financial advice – even though I was not transferring the final salary fund! Their reason was that the scheme rules allowed any lump sum payable in connection with the final salary scheme to be paid out of the money purchase fund – and that therefore my proposed transfer was depriving me of a valuable right relating to a final salary scheme. I had explained to HL that I had no intention of taking the final salary lump sum as my objective was to maximise income from the final salary scheme. After an internal technical review they wrote to say that as I did not intend to take the final salary lump sum, they did not in fact require me to take financial advice. I suspect I saved myself at least a couple of grand in fees. For the last 30 years, I have belonged to a defined-benefit, final salary-related pension scheme. My employer is in the process of changing this to a significantly less attractive Career Average Revalued Earnings arrangement. I could just accept the consequences (according to the company’s own figures, this would result in a loss of around £100K assuming I live for 20 years post-retirement). Alternatively, I could take the CETV (= 25 x forecast income in retirement) and invest it in my P2P SIPP which is operated on a fixed-fee basis (ie no additional charge for the hefty increase in funds invested). I’m minded to do this because I have been investing in P2P for several years with average returns in excess of 10%. As with a number of previous contributors, the challenge I face is to find an IFA who is prepared to positively recommend the transfer (as required by the FCA https://www.fca.org.uk/news/news-stories/advising-pension-transfers-our-expectations). I’d be interested to hear from IFAs who have the necessary qualifications and who (subject to assessment of my circumstances) would be prepared to positively recommend the proposed transfer (brianlom1@yahoo.com). Will be interested to hear other comments on this one. I have 2 small final salary pension schemes that will give me £1,800 pa and £2,500 pa at age 65 and the proverbial wild horses tug as they might will never get me out of them. Added onto the state pension they will give me a dependable £12k approx pa index linked at age 66 :- enough for all the basics. My personal opinion is that the 10% pa average historical gains in the SIPP are a very dangerous red herring – you could invest your final salary transfer value in your SIPP one day and the stock market could crash the next day leaving you with losses that could take years to recover. I personally would never be prepared to take that risk, but I appreciate that risk is a very individual thing. As a newcomer to this website, thanks to all for the useful posts and information. I used the DB transfer route suggested by Julian (February 2017 post) and it has worked for me. Not cheap, but professional and efficient and a fraction of what I was quoted elsewhere. Boy this is tough. I have had 3 CETVs from my employer of approx 30 years service, and the final 1 was tempting. My thoughts for opting out of works pension (now a career average related earnings scheme – CARE) and transferring into a possible drawdown SIPP, is that my partner would be entitled to everything left in the SIPP should i die. She would only get 1/2 my monthly pension if i stayed with company scheme (granted, it would be guaranteed). I have 3 more years before i reach that magic 55 years of age – and can put transfer into effect – and things might change alot before then. I was so shocked to read this blog post, which yes, is about taking a gold standard of pensions and trashing it by rolling it into a SIPP. What’s done is done. For readers heading this way and believing this has to be a smart idea, let me express my thoughts. A) short of bad luck, I’m scheduled to live until I’m 89 years old. If you’re just starting out, you’re be living longer then I will. b) I’m going to have 25 years of retirement living ahead of me because I hate working now, so intend to retire at 65 and not 67 as mandated by the Govt. c) A money purchase scheme transfers the longevity risk to the individual from the pension provider, where it rests with Defined Benefit. If I become the oldest living person in the UK at the ripe old age of 112 years with an article in the Daily Mail how I did it, I’ll still be picking up my defined benefit pension without the risk of my defined contribution pot running out. D) This risk transference also means that defined benefit will also possibly pay out more benefits over the long term then defined contribution ever could. Value is lost potentially through defined contribution. E) what is not being highlighted is with defined contribution, the charges for drawdown actions are unbelievably excessive. Our fantastic banking industry has found another seam of gold to extract from the unwary public. The charges, £50 for a statement, £80 for a payment, etc, can wipe out any investment gains while retired. I have done a spreadsheet exercise over a 25 year timeline of monthly drawdown withdrawals to match a defined benefits payout, and the charges almost match the entire pots withdrawal and tax charge by HMRC. The charges become a tax by another name. 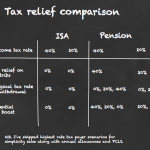 F) The only viable alternative in my view to defined benefit is not the SIPP, but the ISA. It would appear that the difficulty is not with the (non advised) Product Provider i.e. SIPP accepting the TV but the current DB provider releasing the funds. Whether the advice is to transfer or not, 2 large UK financial institutions, previous employers, have both requested very detailed and explicit information about the professional advice received, wanting the IFA FCA registration number and a letter from the Adviser. As a career long employee in the Financial Services industry and suitably qualified, but not practicing, it seems a very difficult hurdle to overcome to transfer a small circa £40k TV at a reasonable cost, to my existing SIPP. Next post: Weekend reading: Does saving still pay?